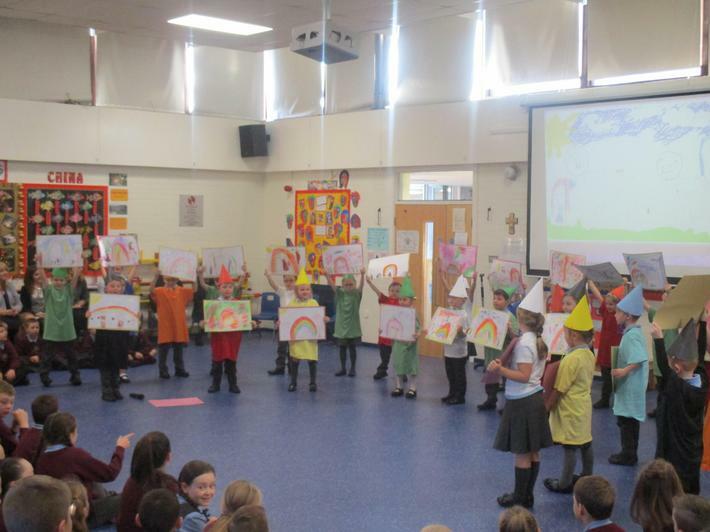 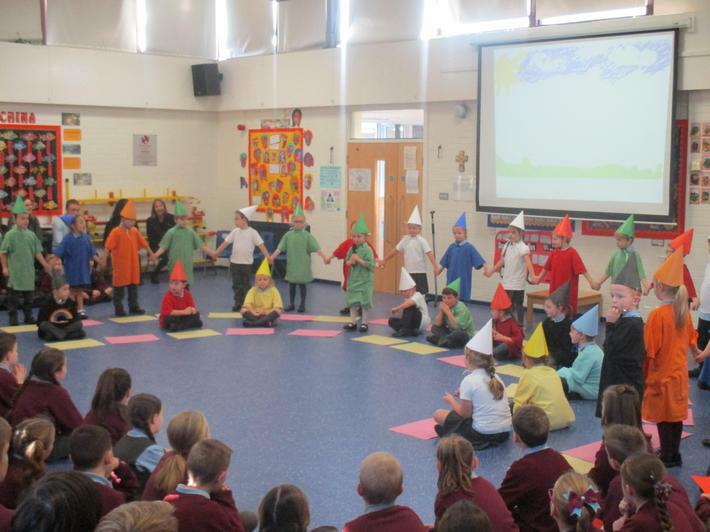 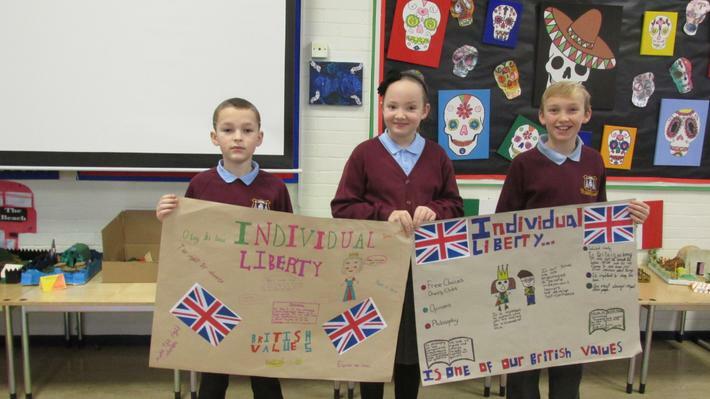 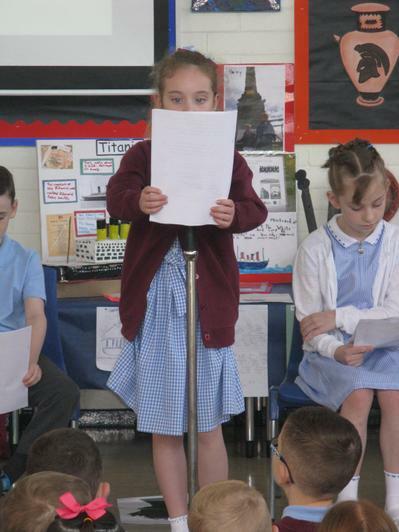 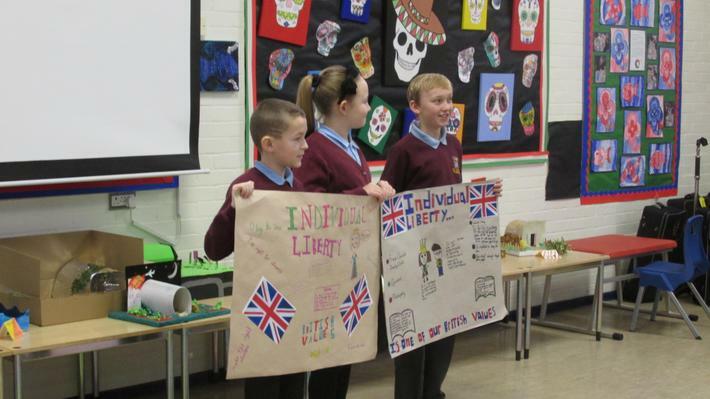 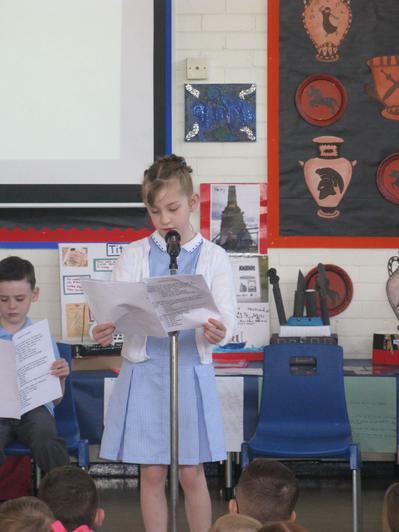 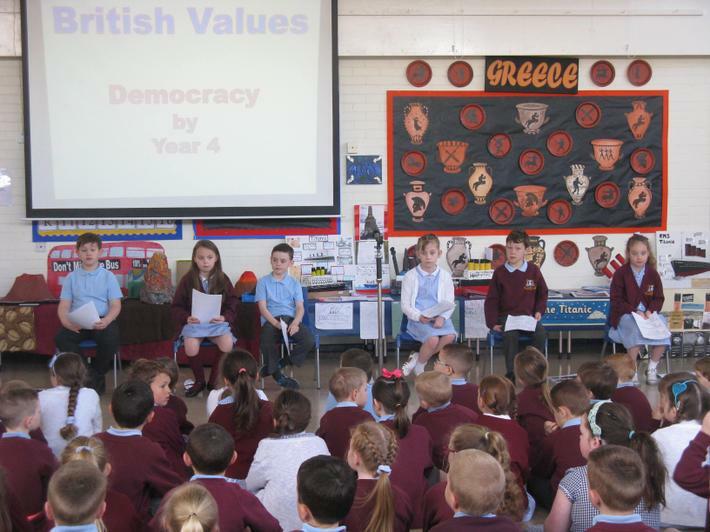 At St Robert Bellarmine Catholic Primary School we believe our Code of Conduct which is lived through our Mission Statement, as well as our enriching curriculum and extra-curricular activities, fully supports these fundamental British Values. 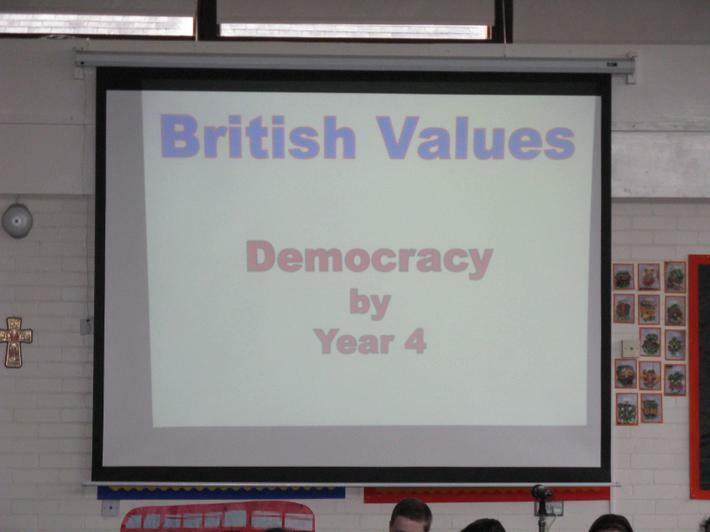 Democracy is rife within our school. 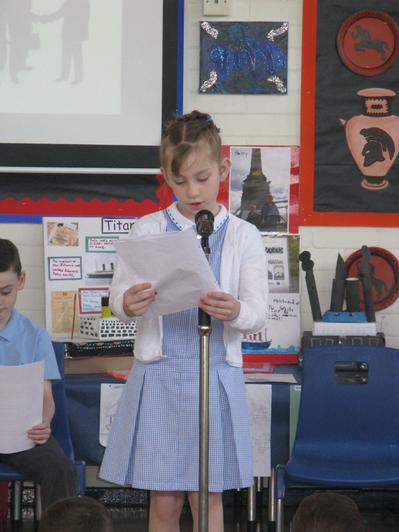 Pupil voice, as well as parent/carer voice, plays a central part in developing school improvement priorities. 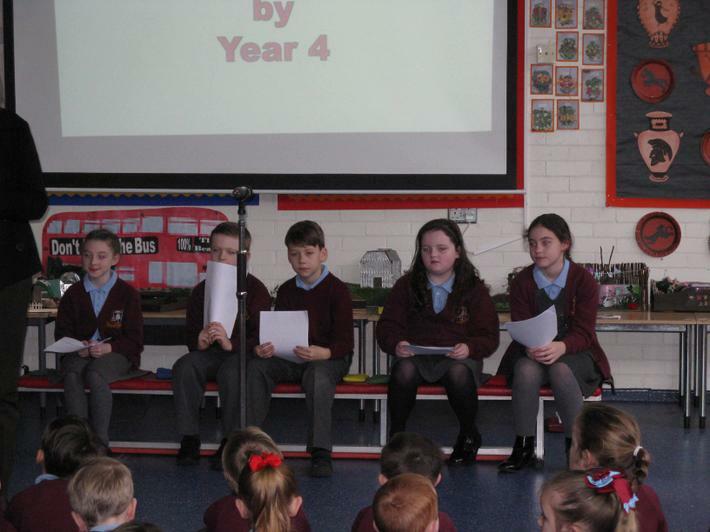 Pupils have the opportunity to have their voices heard through our School Council and Pupil questionnaires. 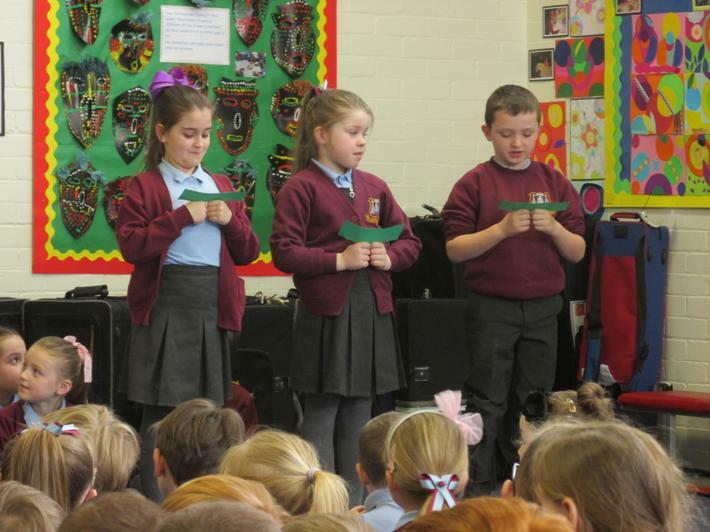 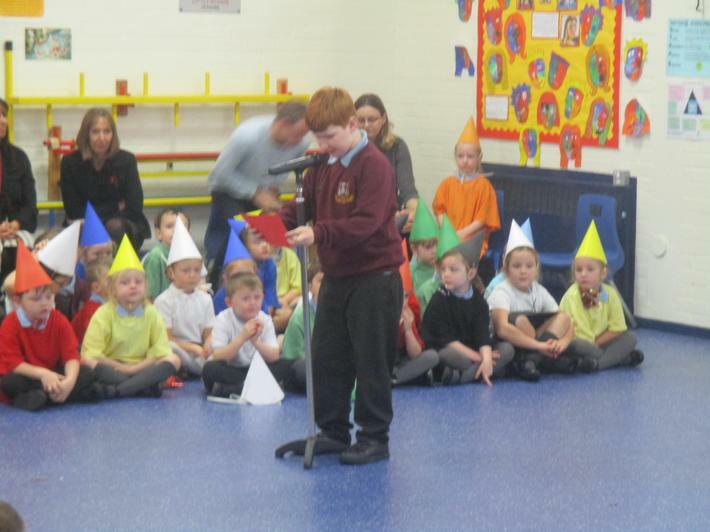 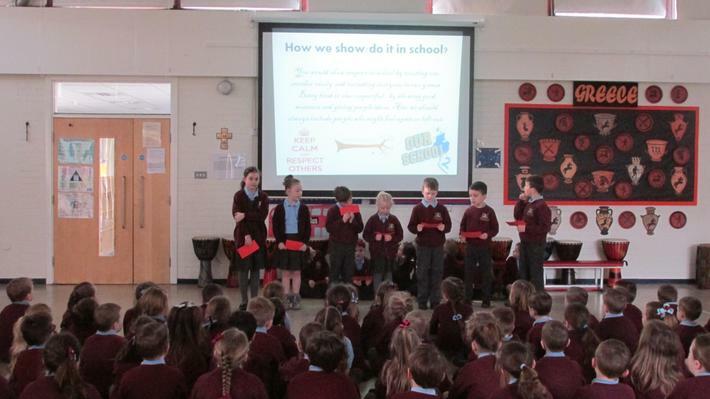 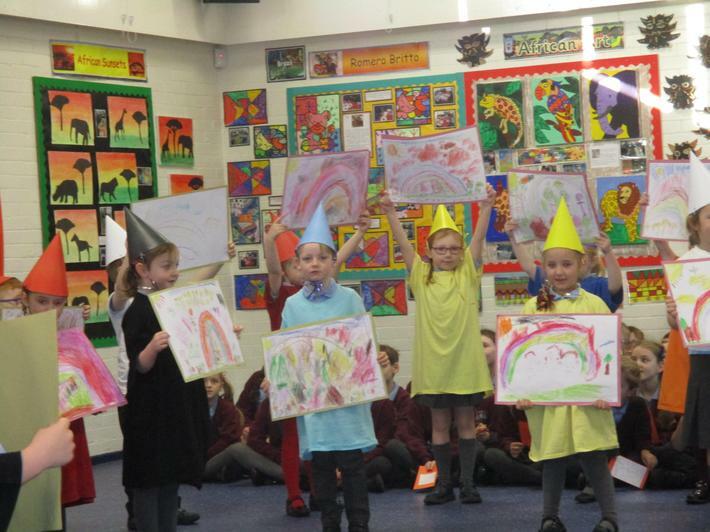 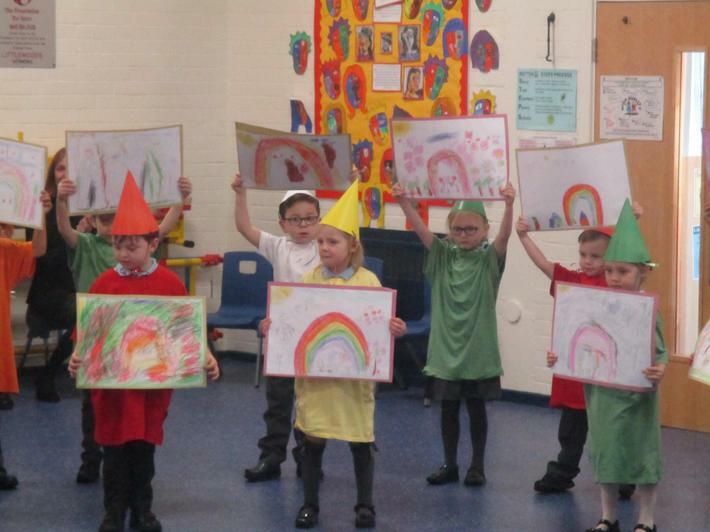 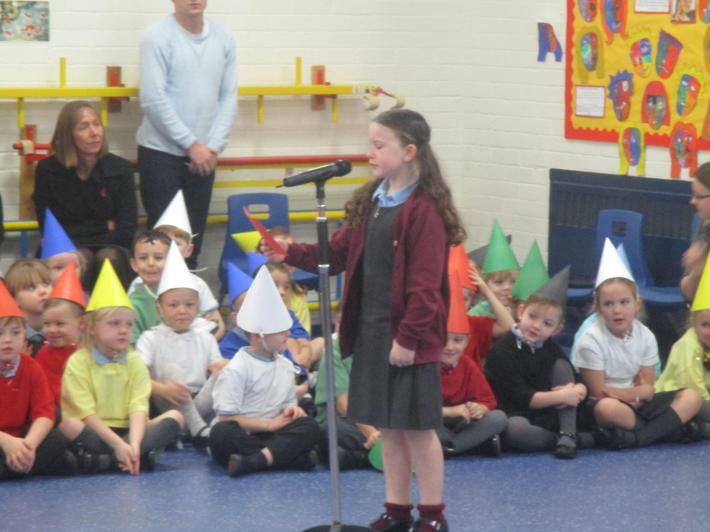 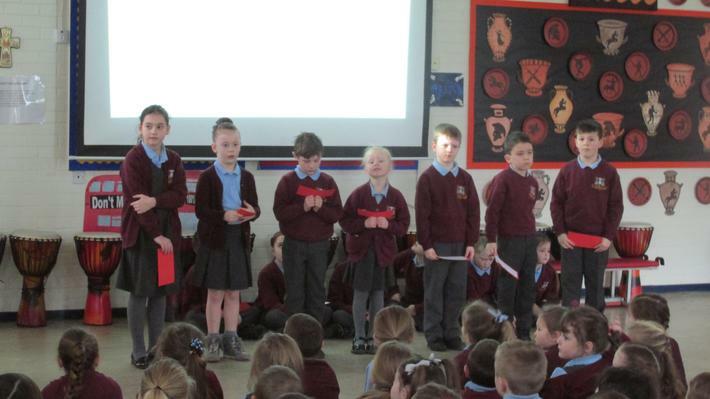 Our school behaviour policy involves rewards which the pupils have had contributed to. 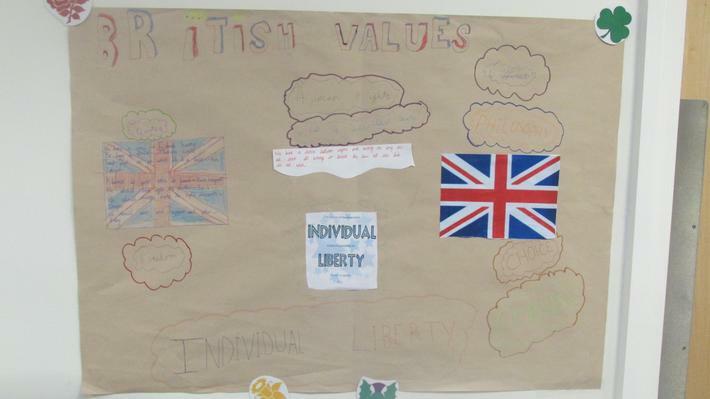 The school is clear in demonstrating how pupils should contribute and co-operate and consider the views and needs of others. 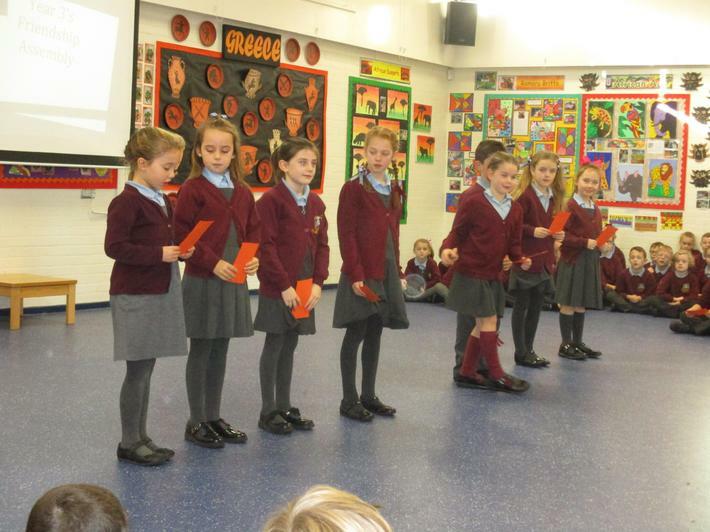 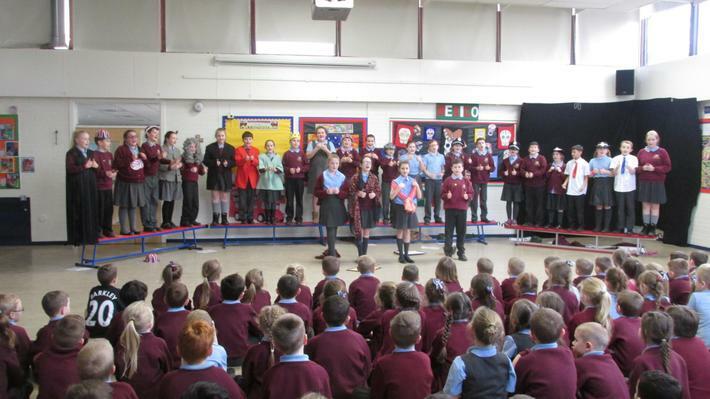 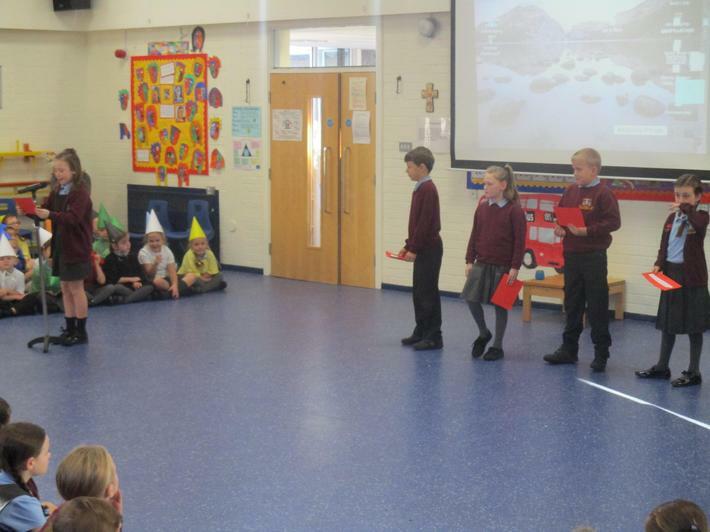 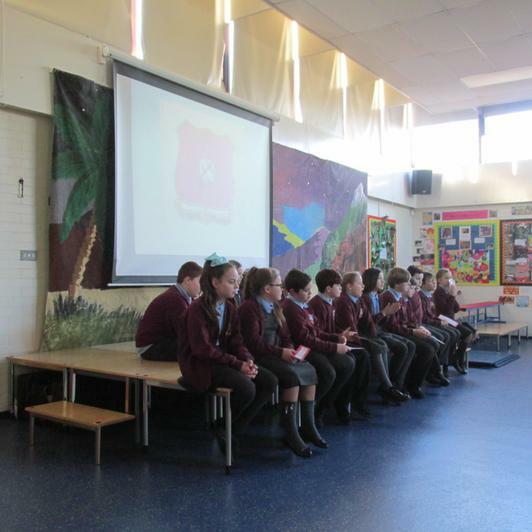 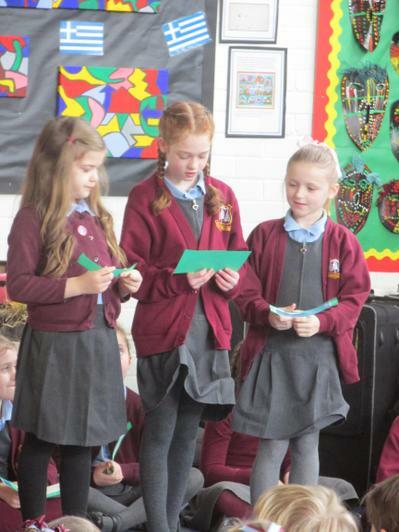 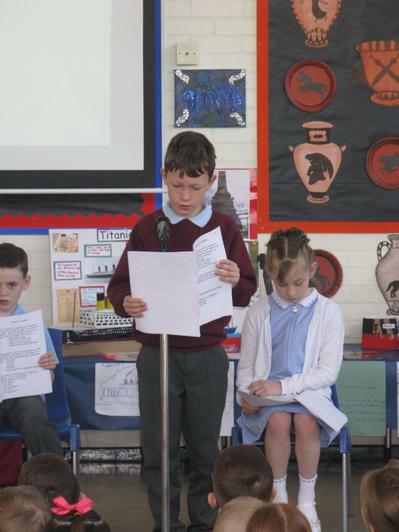 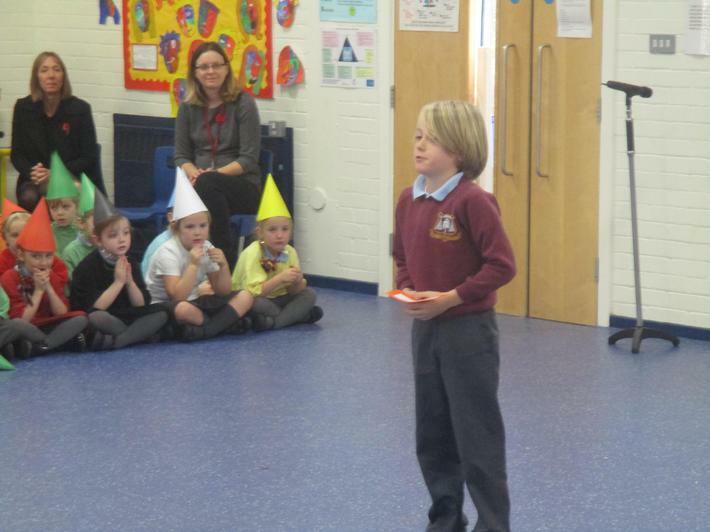 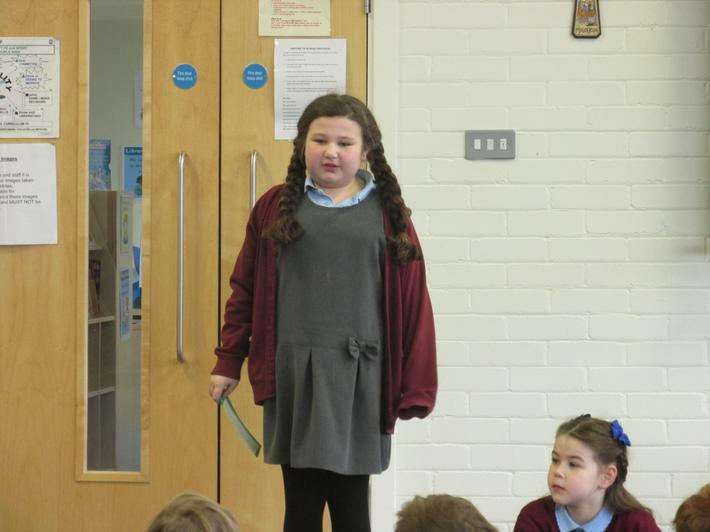 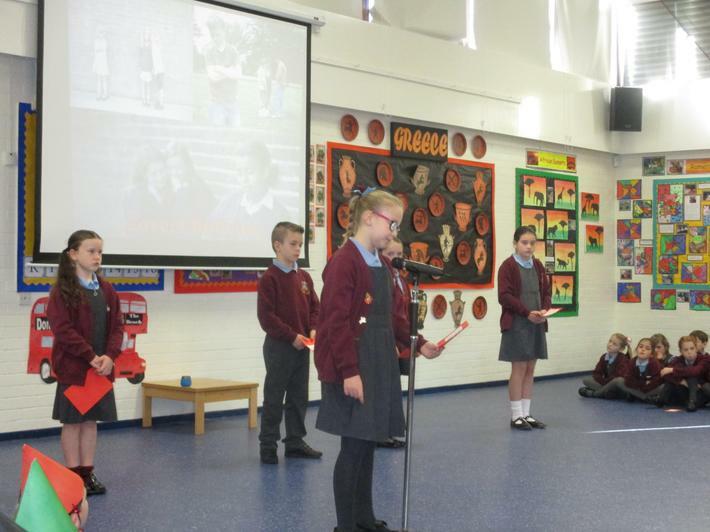 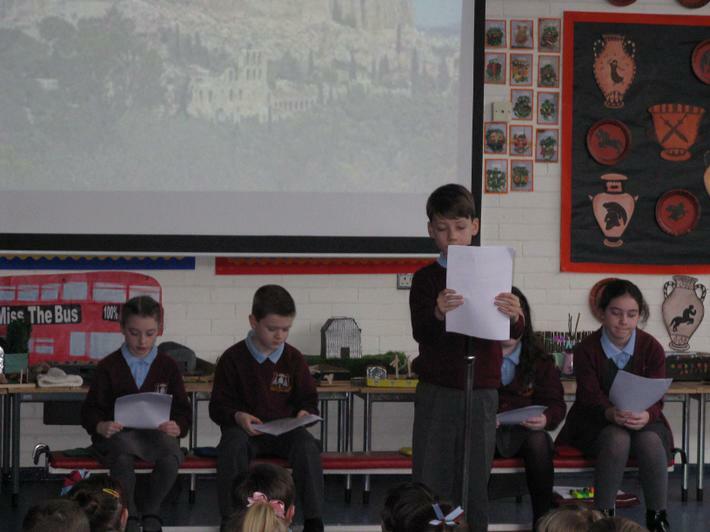 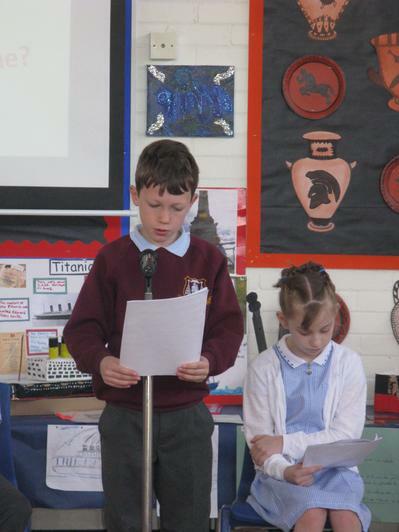 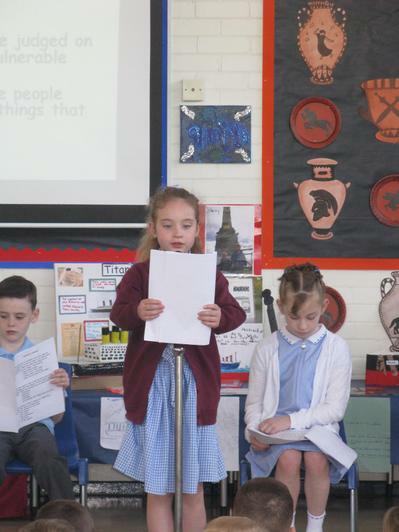 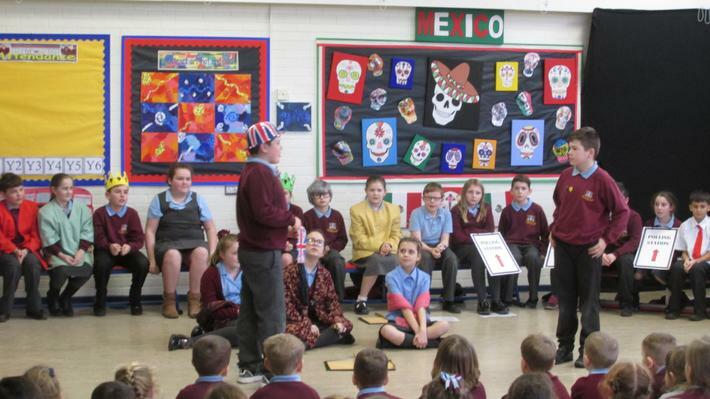 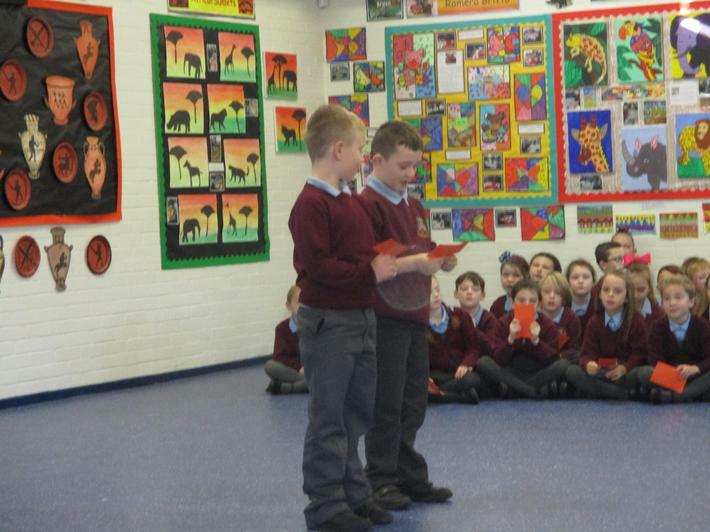 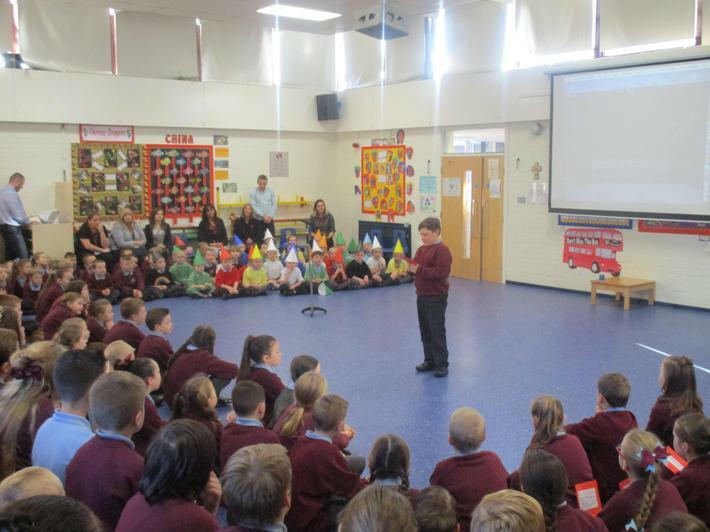 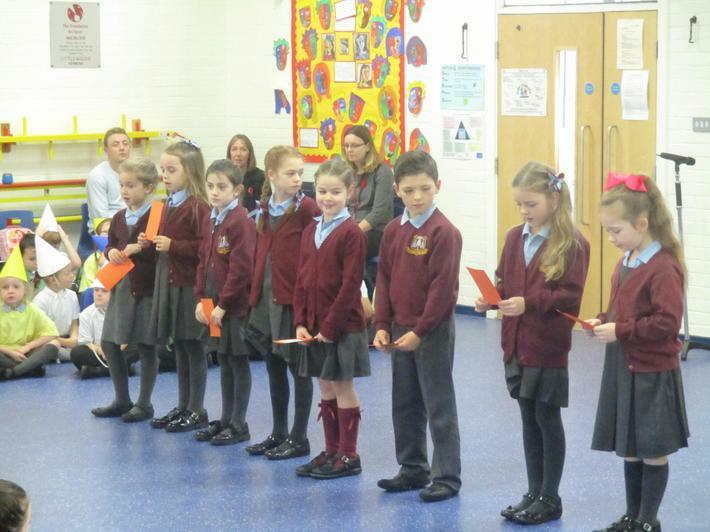 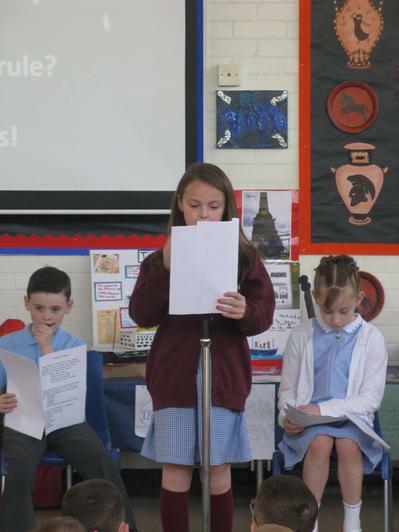 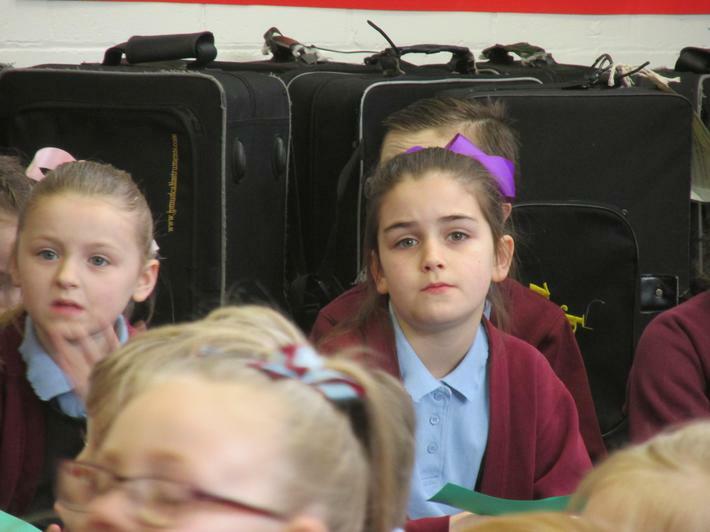 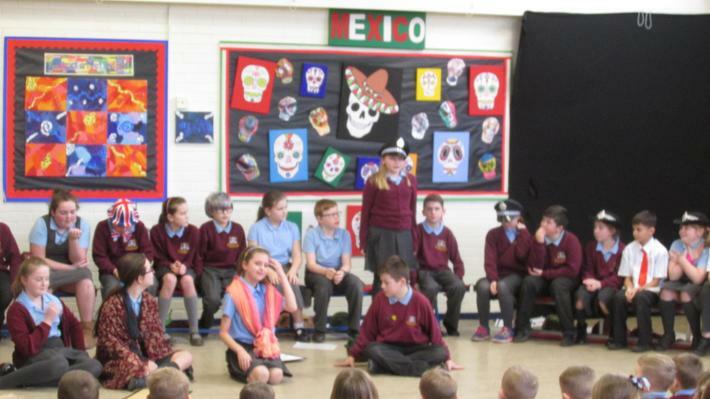 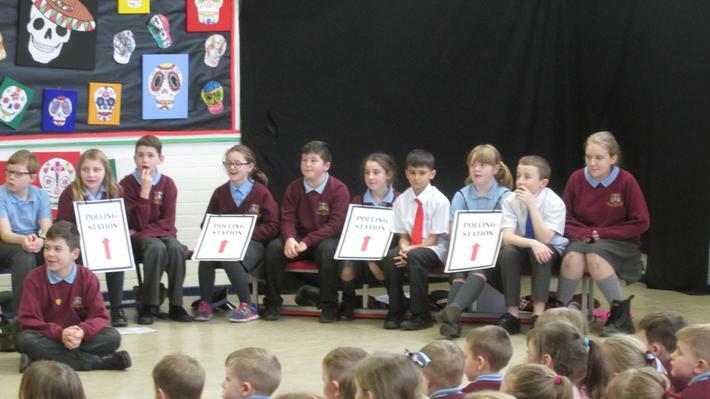 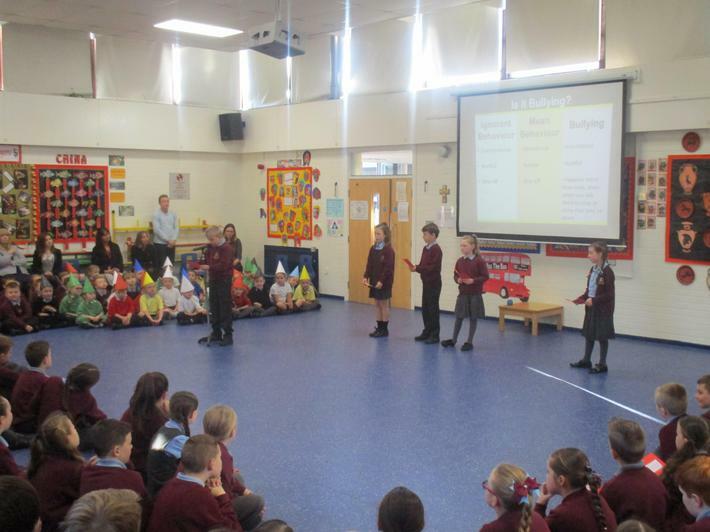 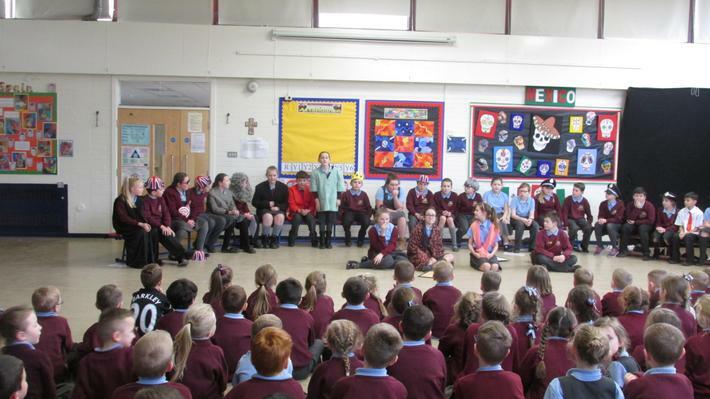 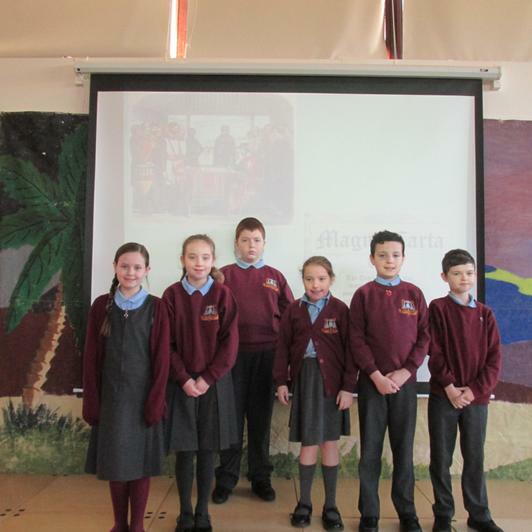 The School Council meets regularly and takes part in decision making on a range of topics. 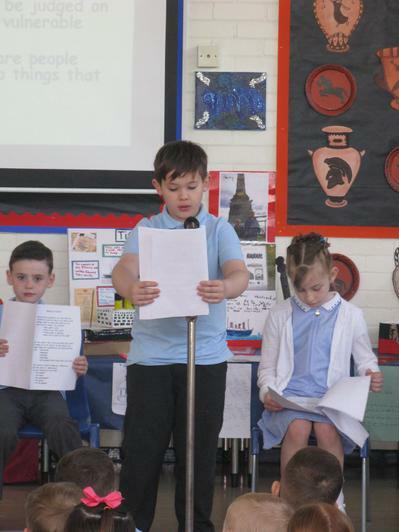 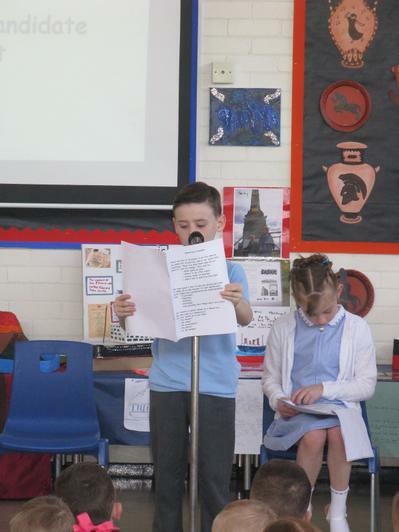 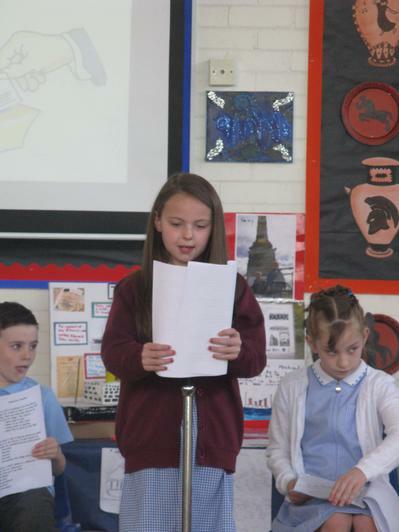 These topics are then discussed at the ‘Council Surgery’ which is a special assembly that allows children to once again voice their views and opinions. 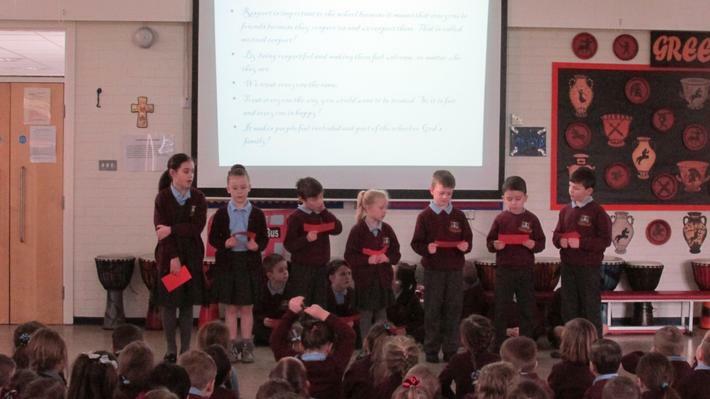 All staff members have high expectations of the children in our school. 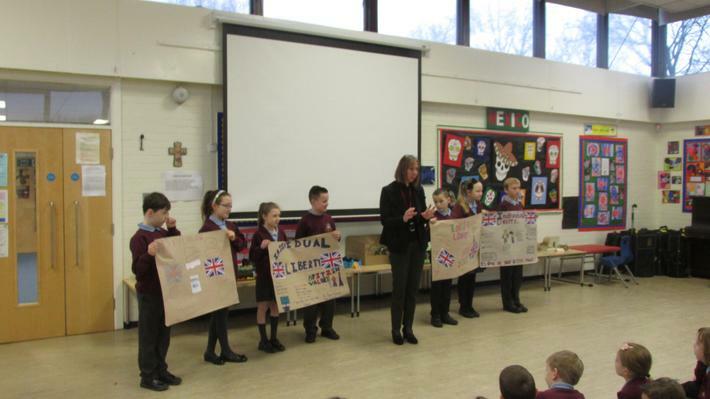 The importance of laws and rules are consistently reinforced in the classroom, as well as through school assemblies. 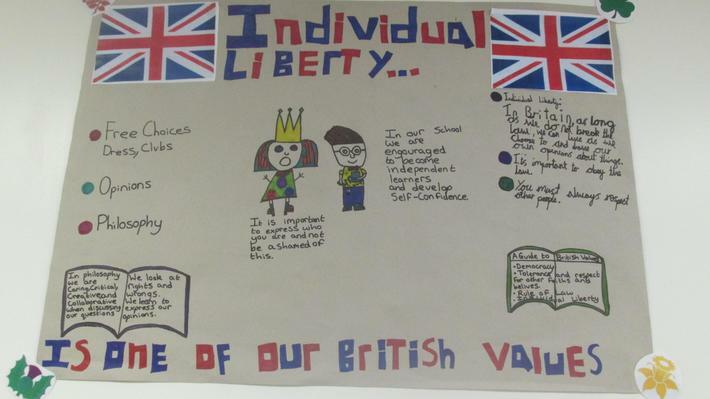 Pupils are taught to understand the need for laws - that they are there for individual protection, the responsibilities that this involves and the consequences when laws are broken. 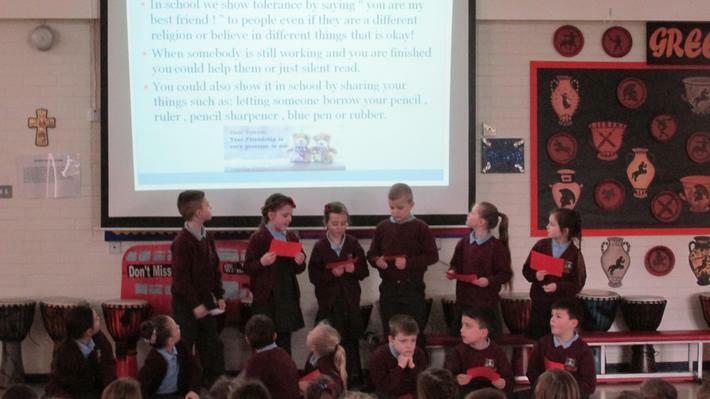 Pupils follow a positive behaviour policy and clearly understand the rewards and sanctions that are used. 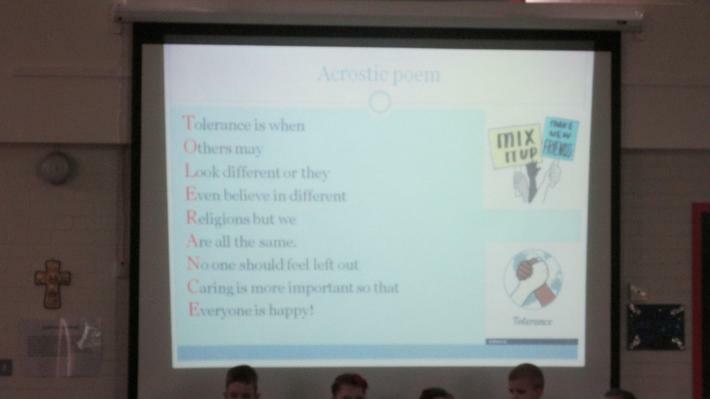 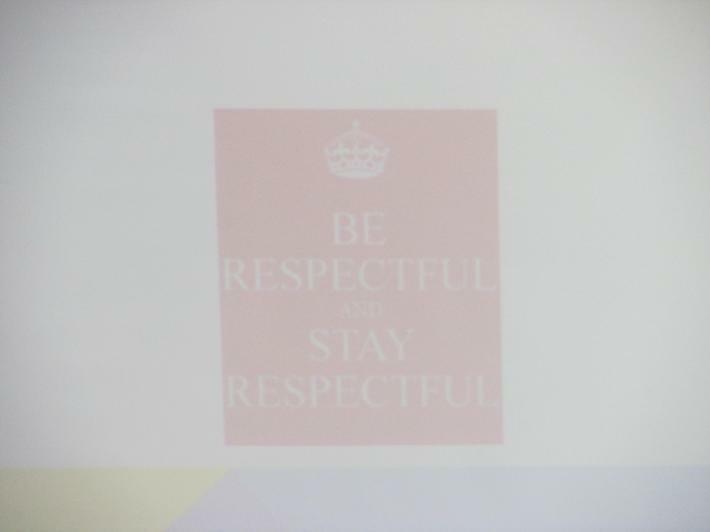 Assemblies and discussions in class focus on recognising right from wrong and visits from the Police and Fire Service help to reinforce these messages. 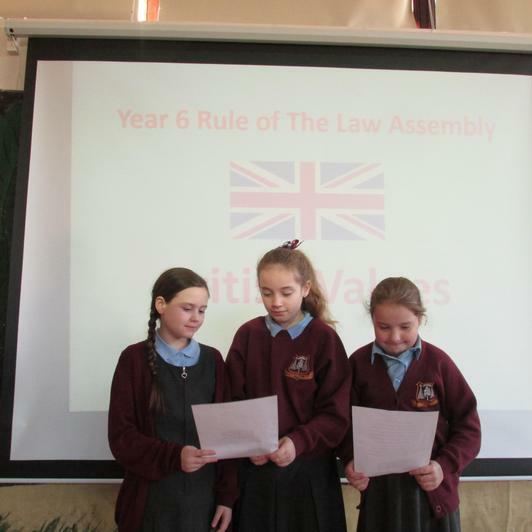 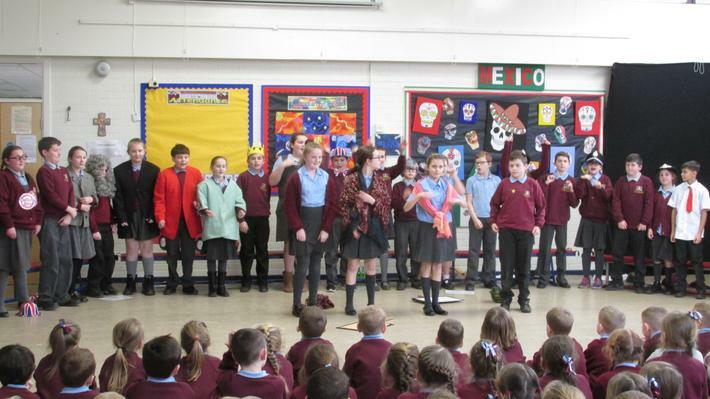 The children in Years 5 and 6 discuss many moral issues throughout their Philosophy lessons and extra-curricular clubs and this enables them to develop their understanding of the rules of the law. 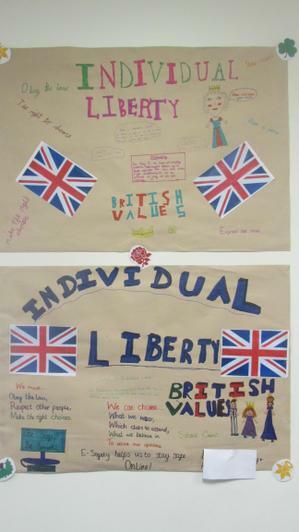 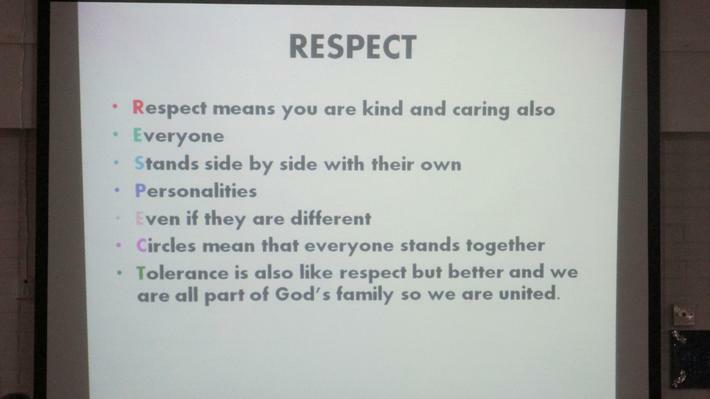 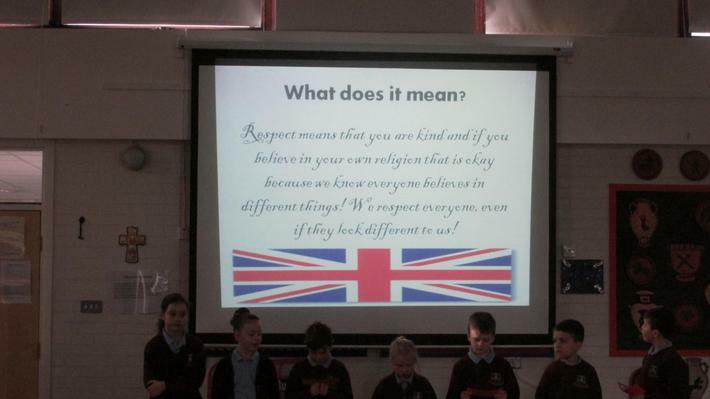 At St Robert Bellarmine our Christian values of respect and tolerance permeate all areas of school life. 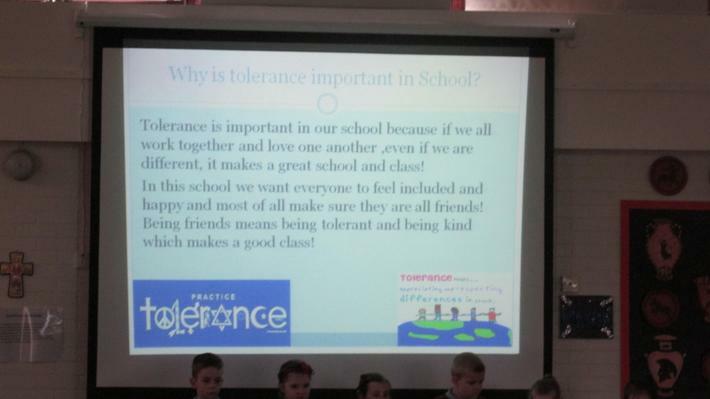 This engenders a climate within which pupils feel safe and secure and facilitates the fulfilment of potential. 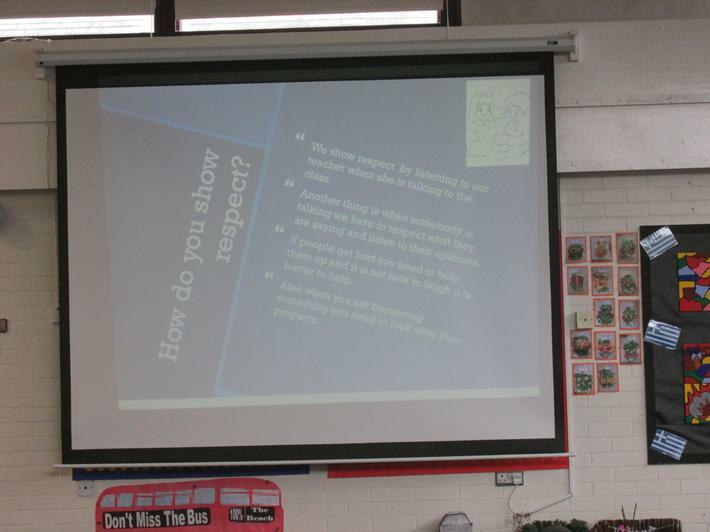 All staff demonstrate respect to everyone with whom they come into contact. 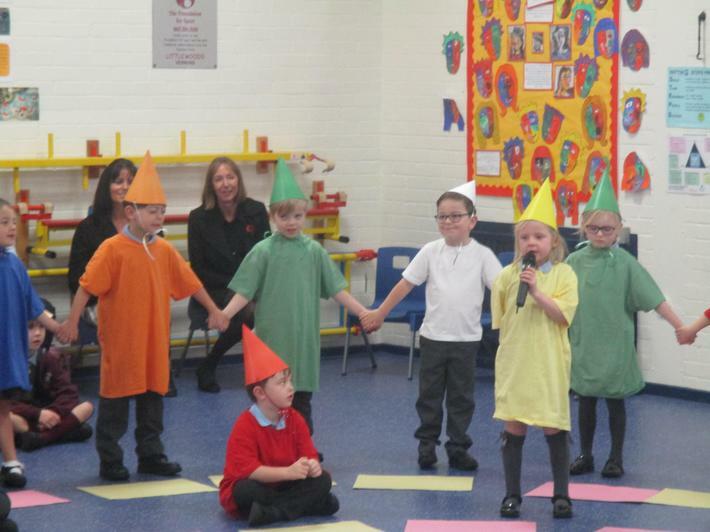 They consistently model and promote the behaviours and attitudes that are the foundation of positive relationships. 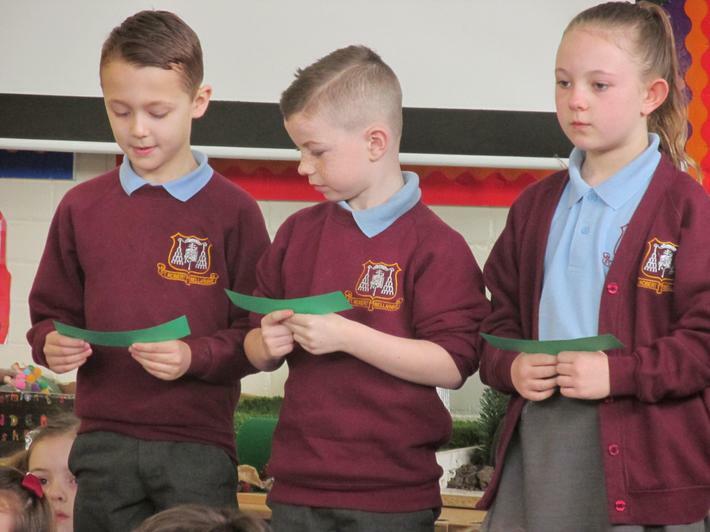 The strong school ethos encourages everyone to consider and support each other and to celebrate the worth and individuality of every member of the school community. 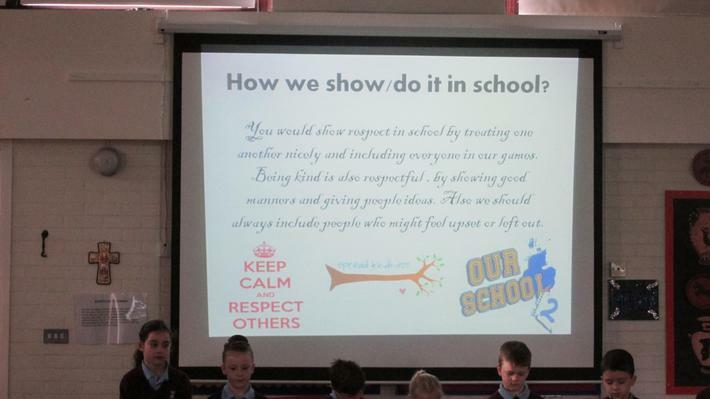 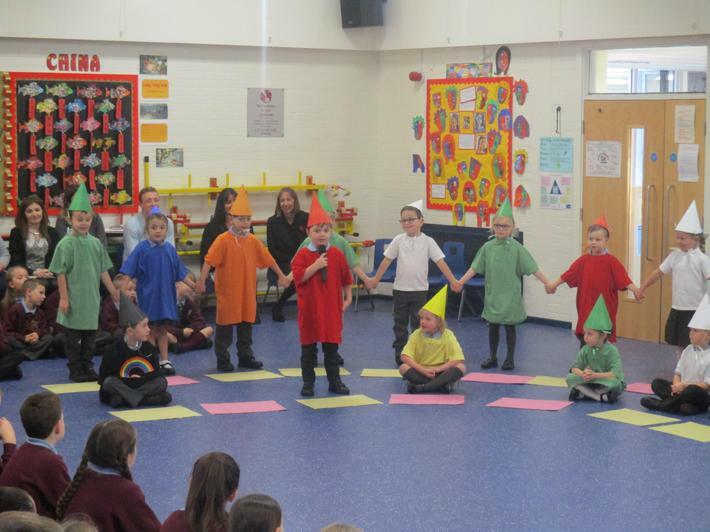 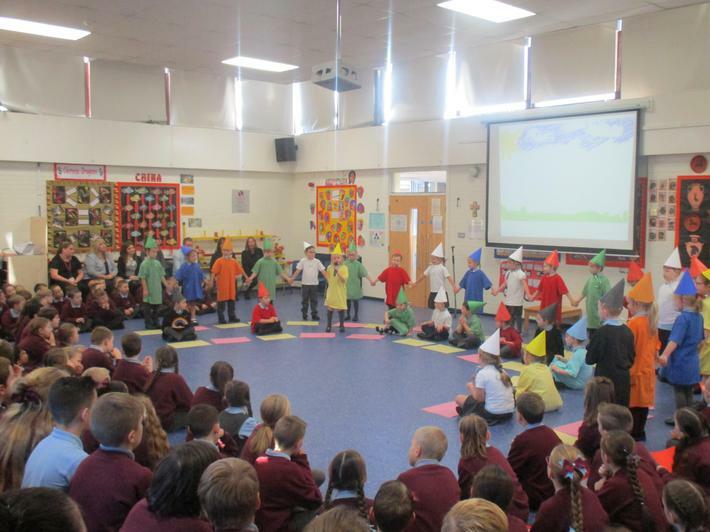 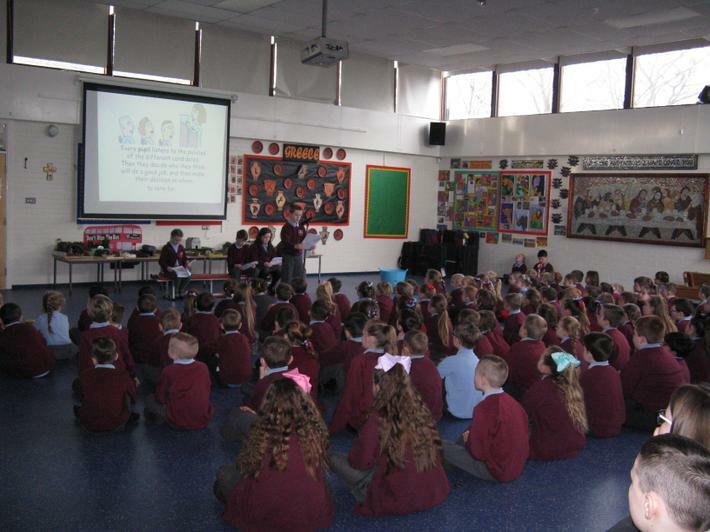 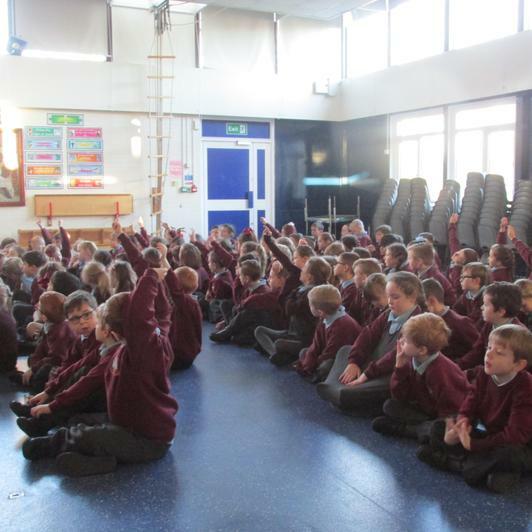 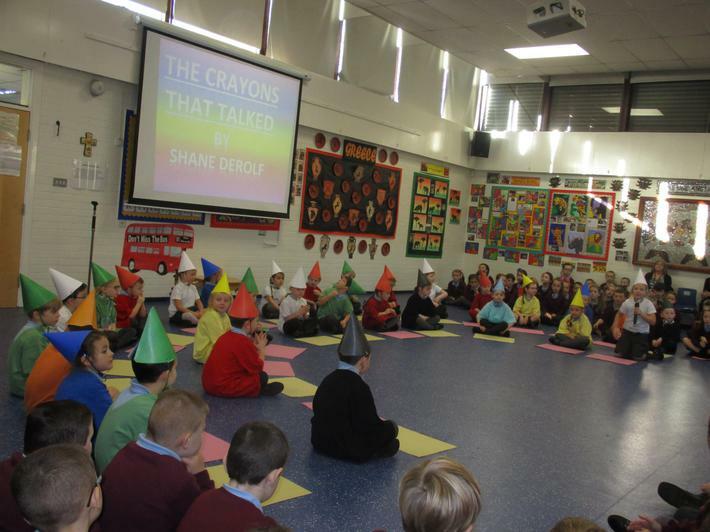 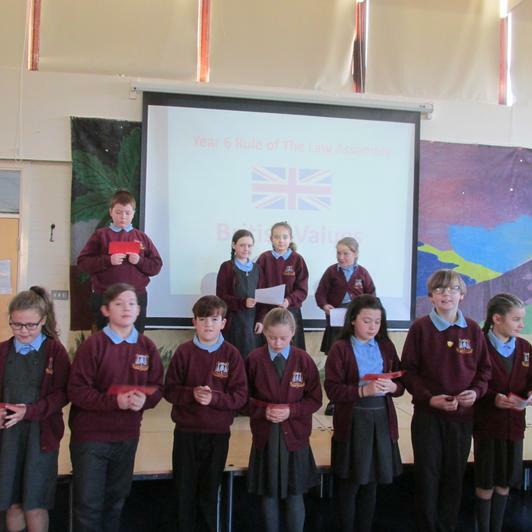 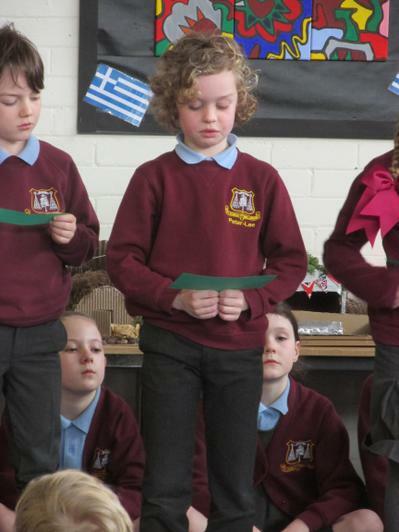 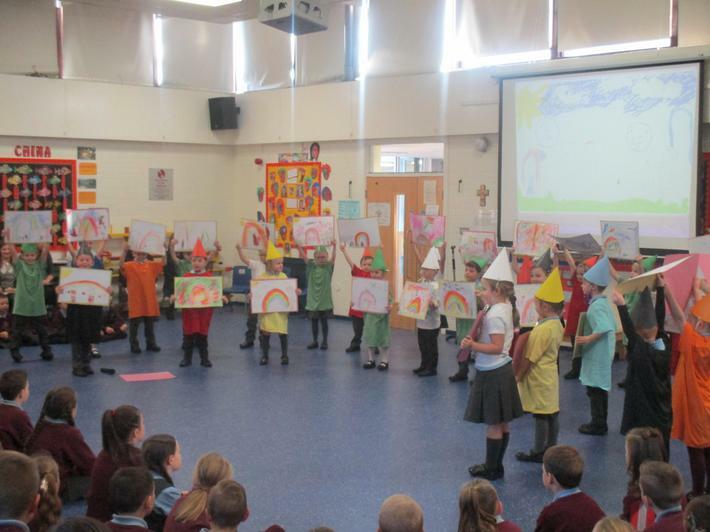 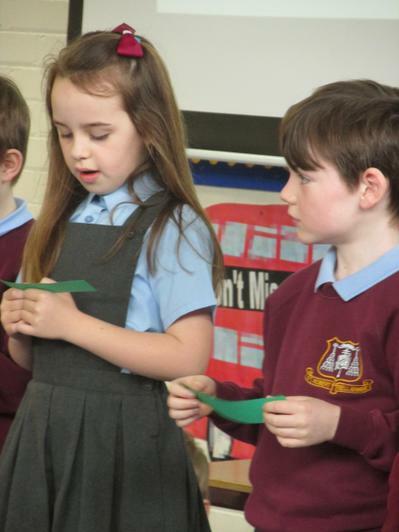 Discussions in class and during whole school assemblies as well as issues that are promoted during collective worship, allow the children to show respect and reverence to all other individuals. 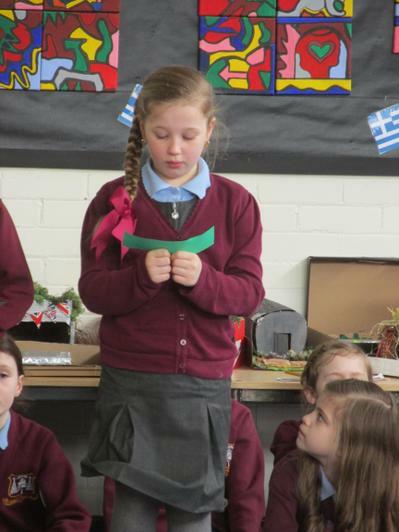 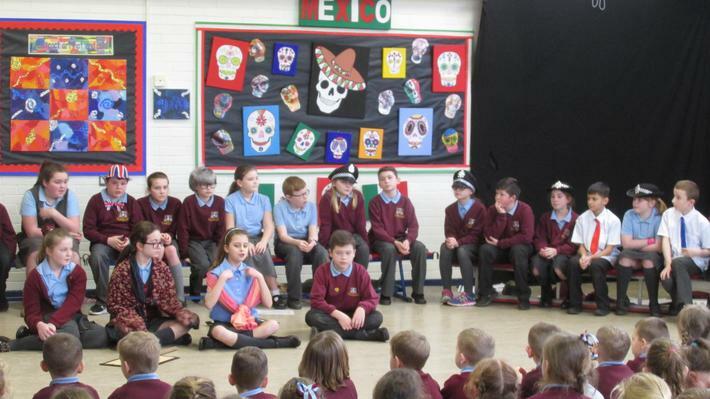 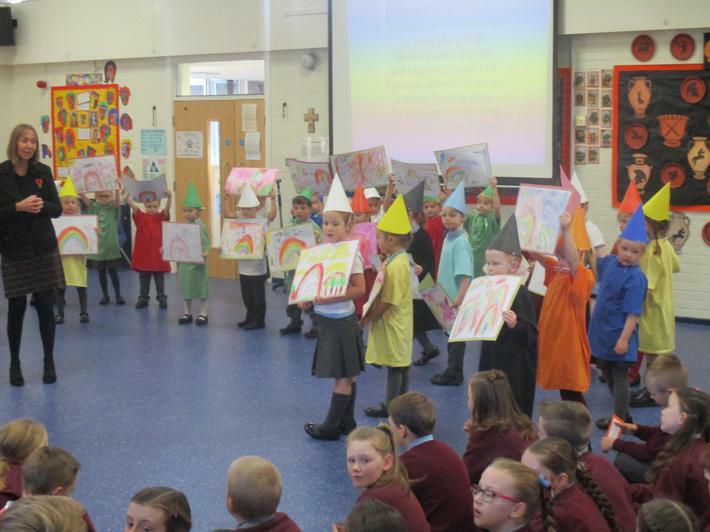 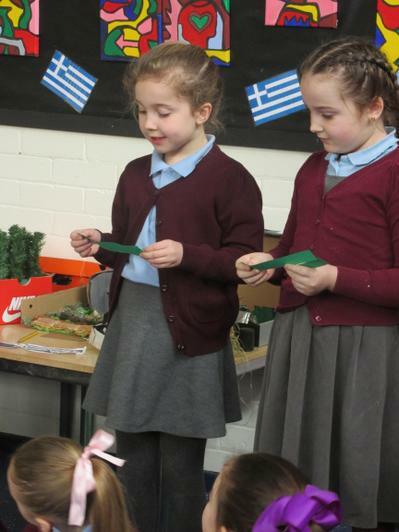 As a Catholic community, pupils are reminded of their place in a culturally diverse society. 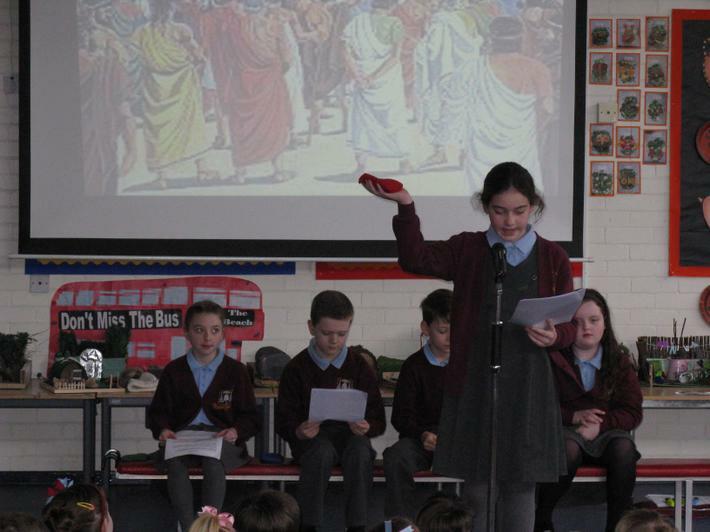 This is achieved through our Religious Education curriculum and the spiritual life of the school. 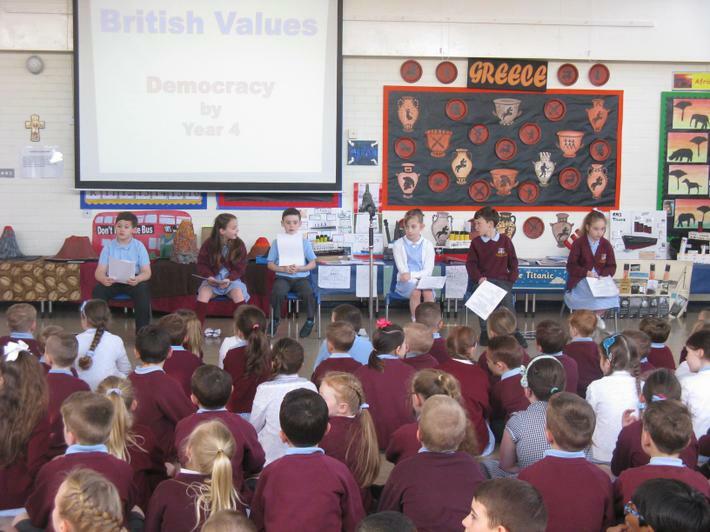 Assemblies and class work promote the diversity of society and the right for each person to be respected and valued equally regardless of ability, gender, faith, heritage or race. 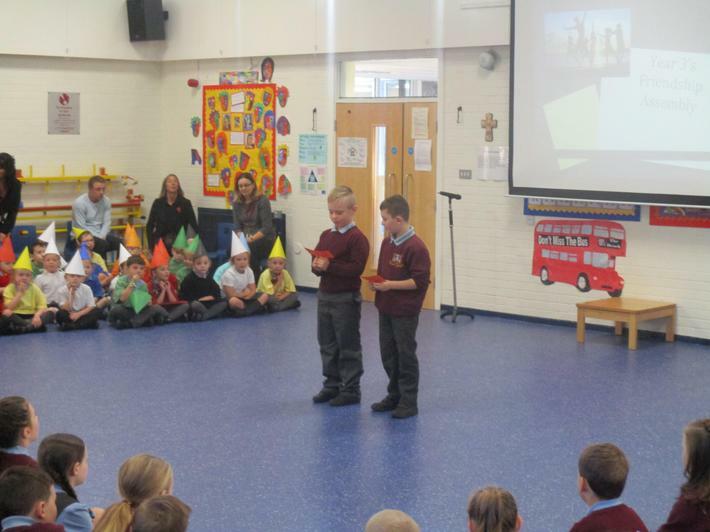 Members of different faiths or religions are invited to school to share their knowledge and enhance learning within assemblies and in class. 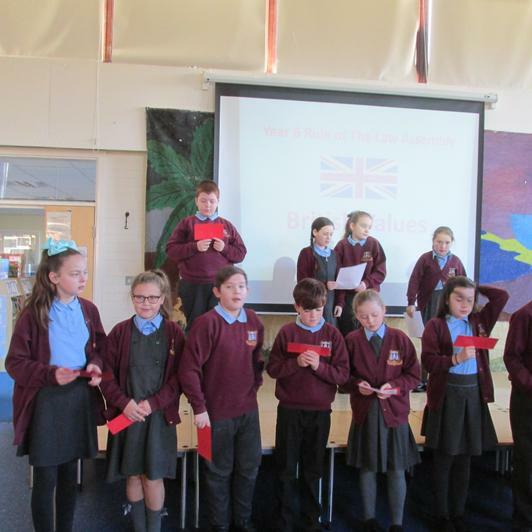 Each year, each class spends one week studying another country which allows them to compare and contrast cultures whilst respecting other faiths and beliefs. 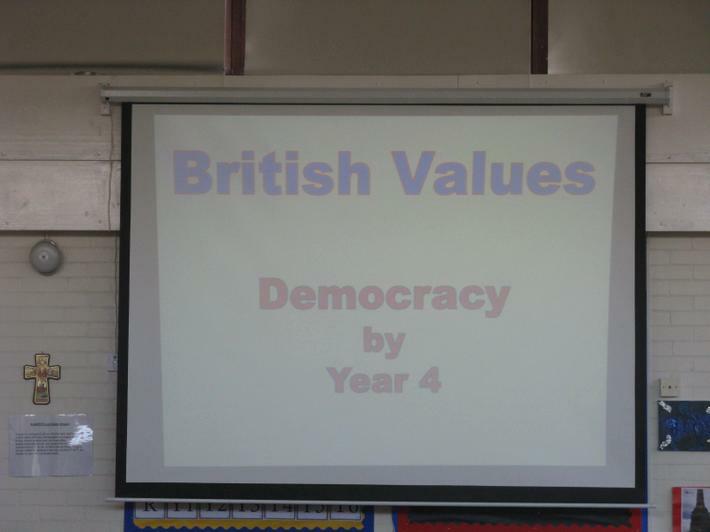 This work is also embedded in the many other curriculum areas which are studied throughout the year. 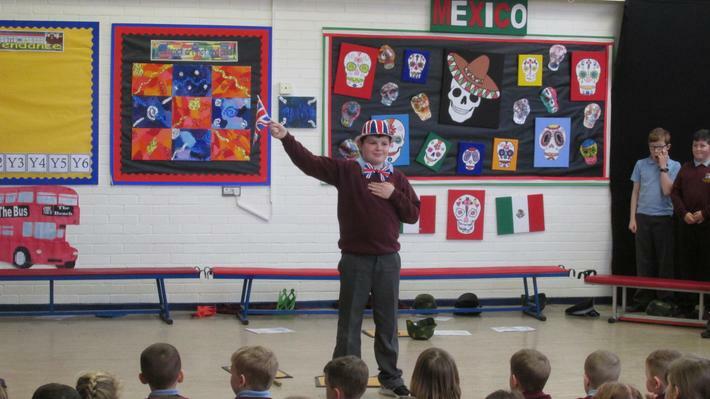 We also often use opportunities such as the Olympics/World cup to study other cultures. 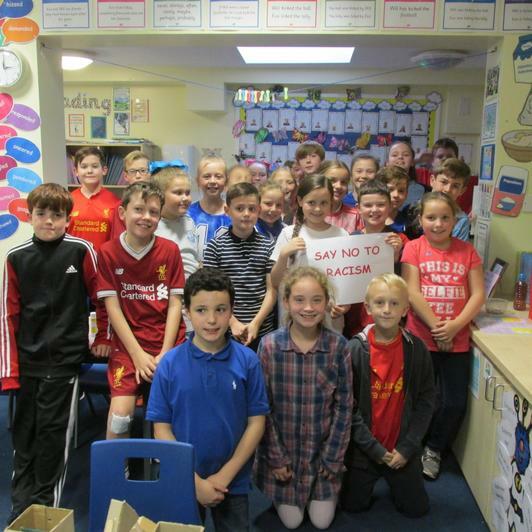 All of our staff and children are actively involved in supporting our fundraising campaign which helps our partner school in Sierra Leone. 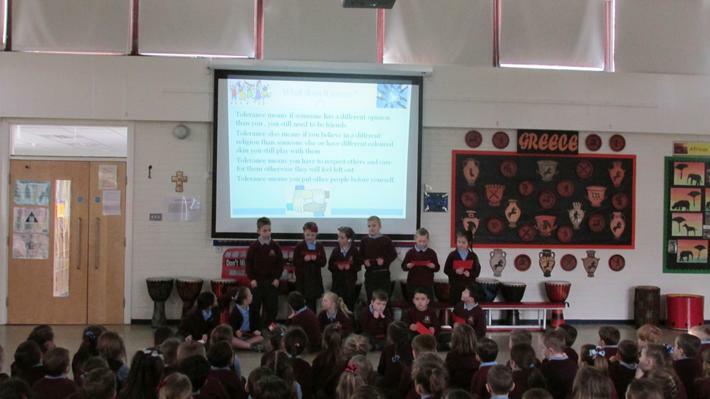 All children in Key Stage 2 have been given a safeguarding leaflet which outlines extremism and radicalisation. 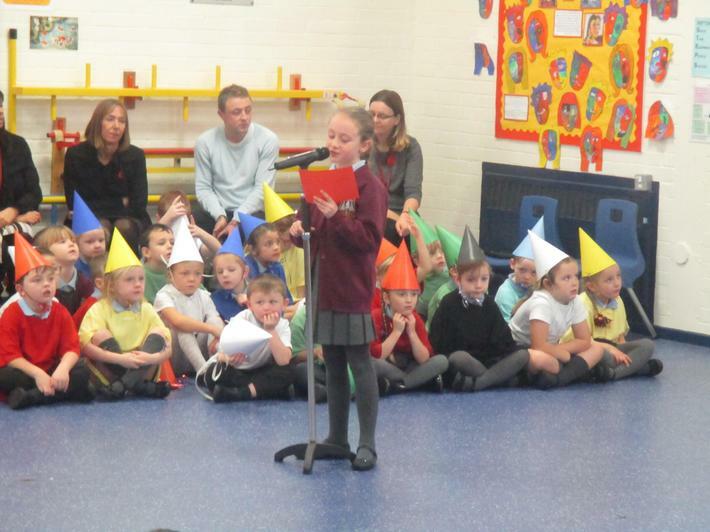 It is our responsibility to help children understand some of the risks that exist. 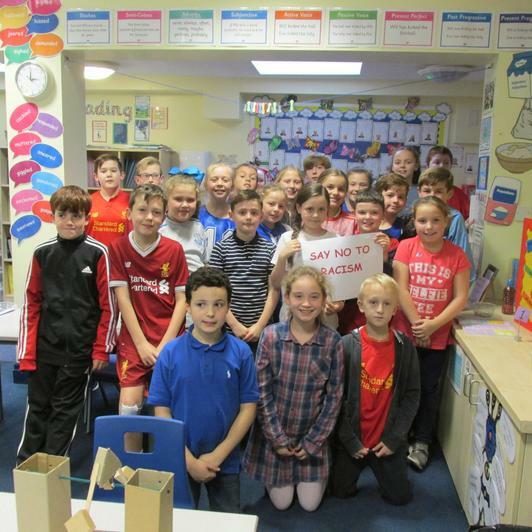 As a class, they have already discussed the leaflet with their teacher and are now more aware of these risks. 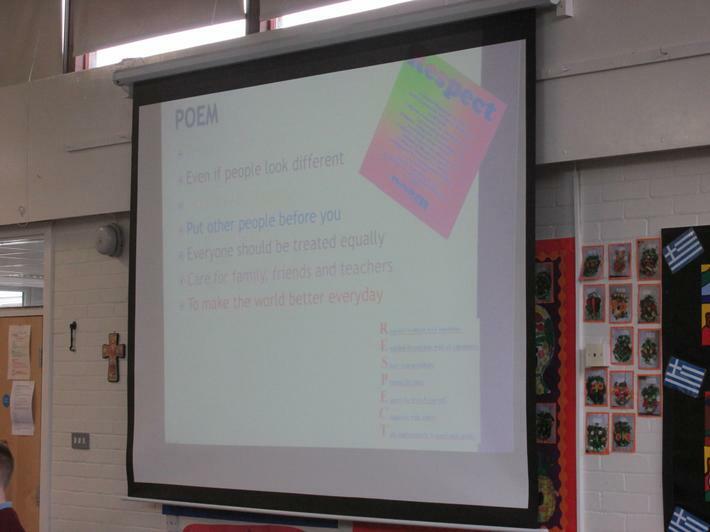 A copy of the leaflet can be found below. 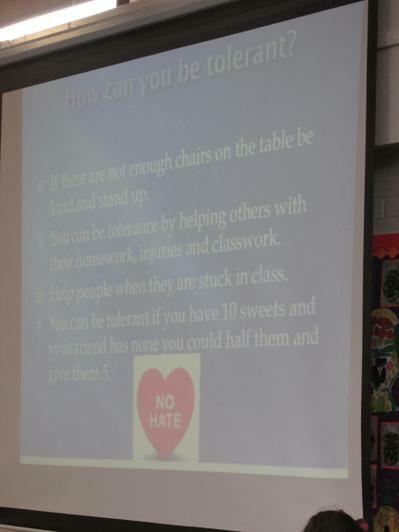 Please take time to discuss this with your child at home too. 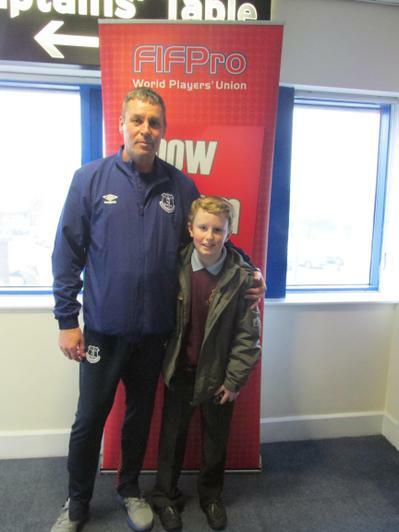 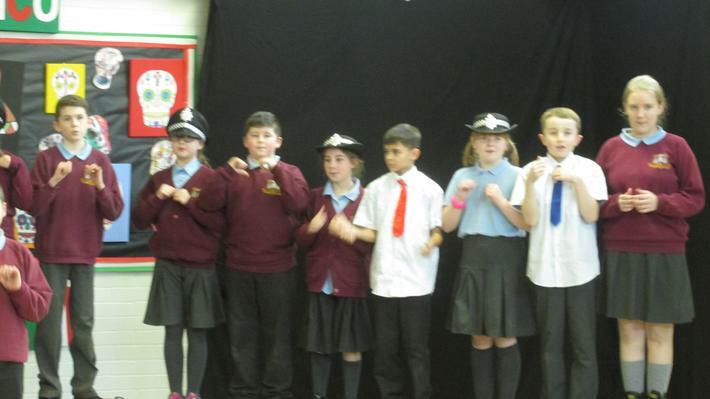 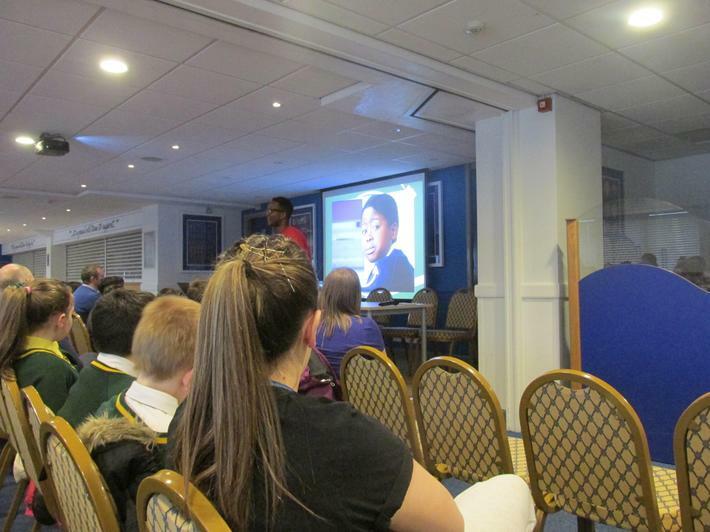 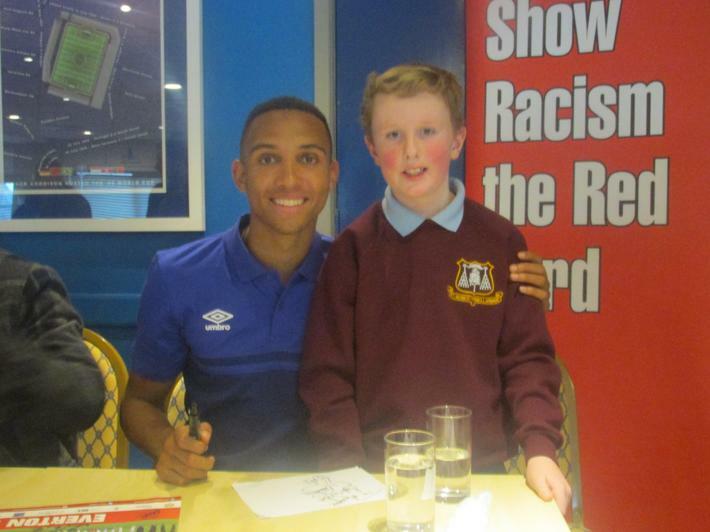 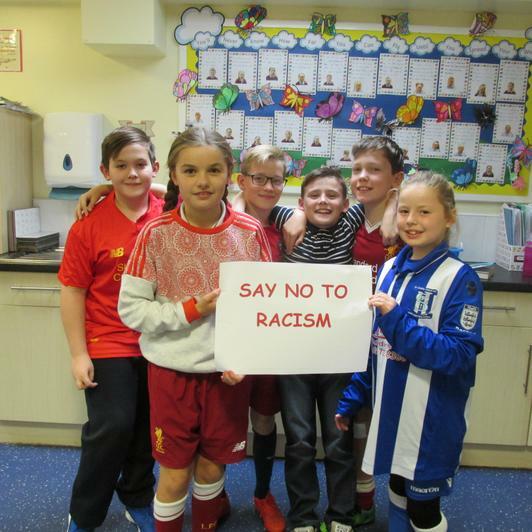 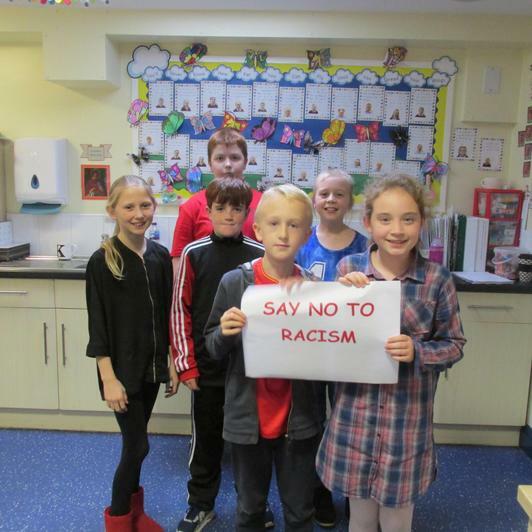 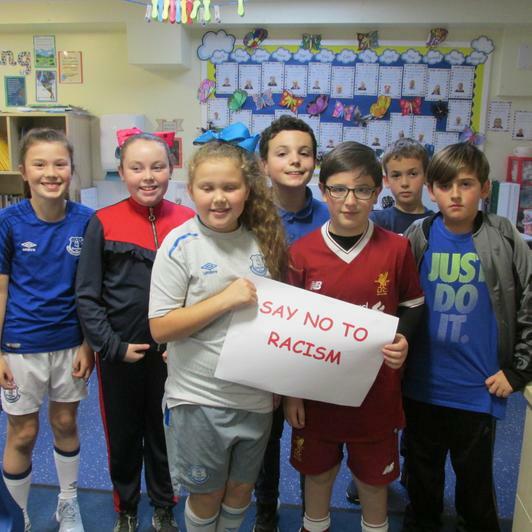 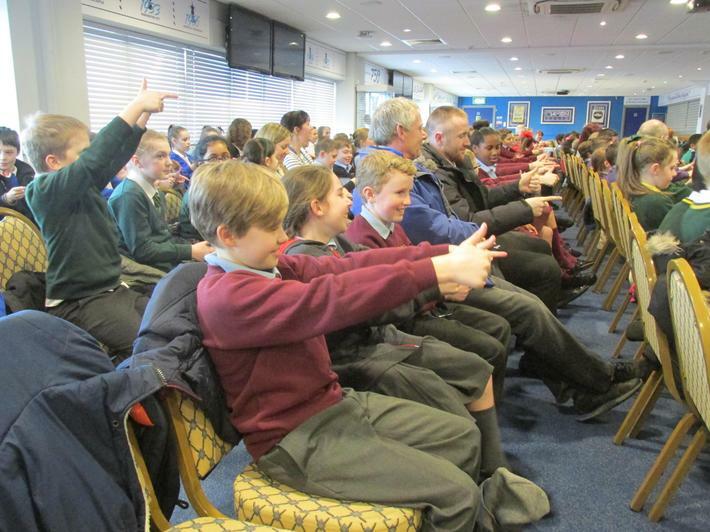 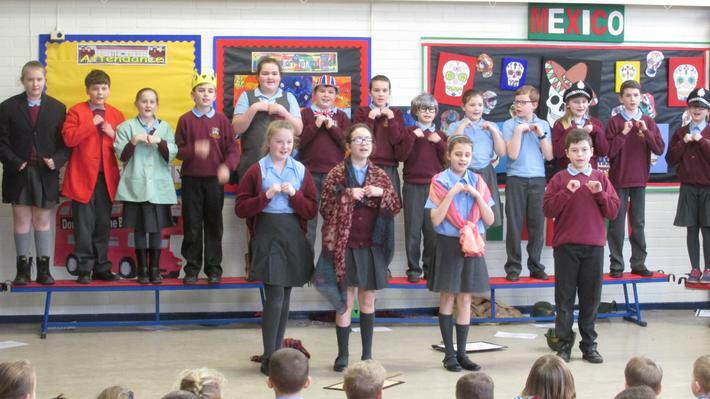 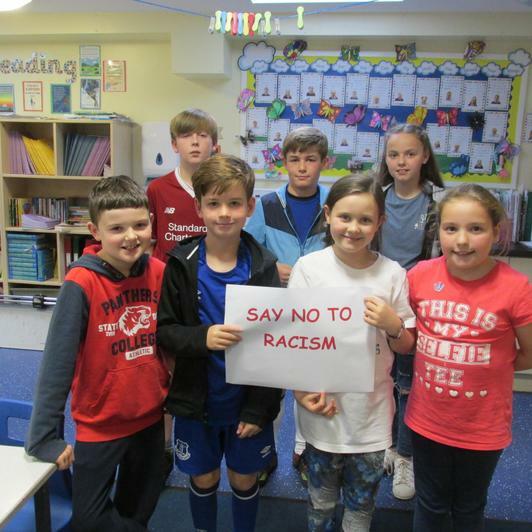 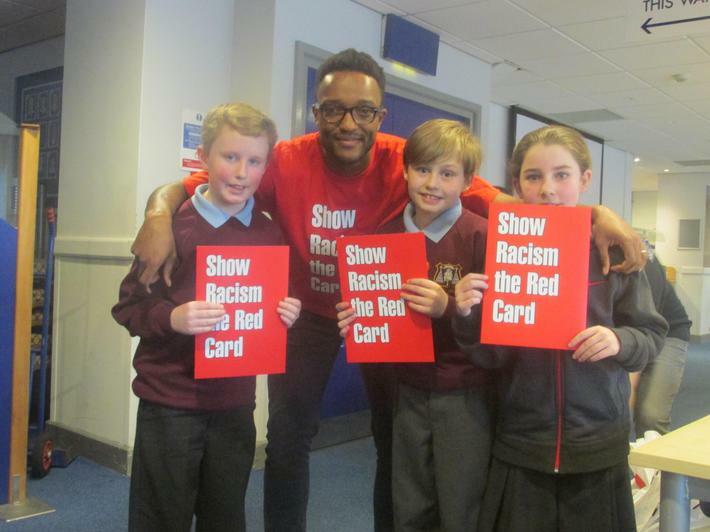 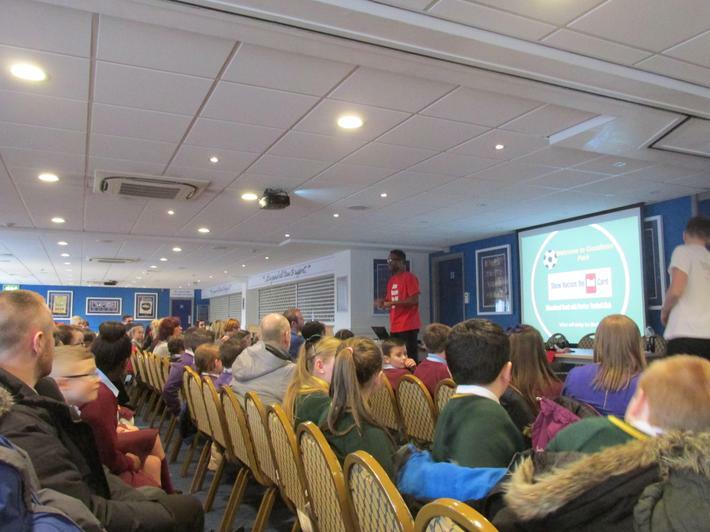 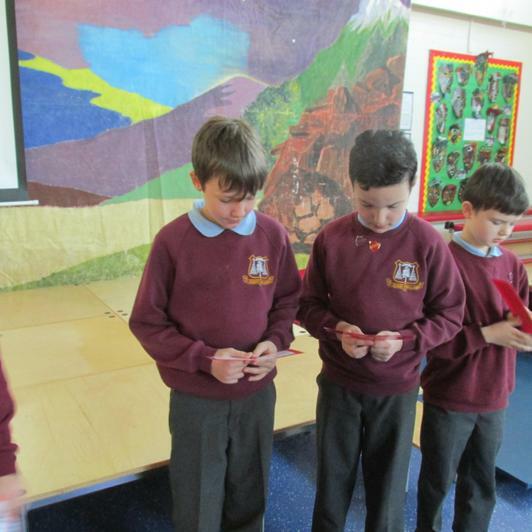 Three of our year 6 pupils were delighted to attend an anti-racism workshop at Goodison Park on Tuesday 8th March. 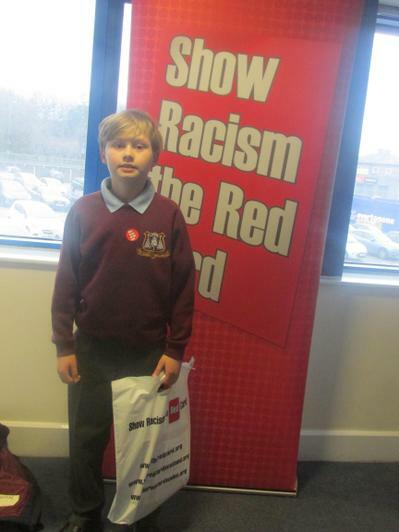 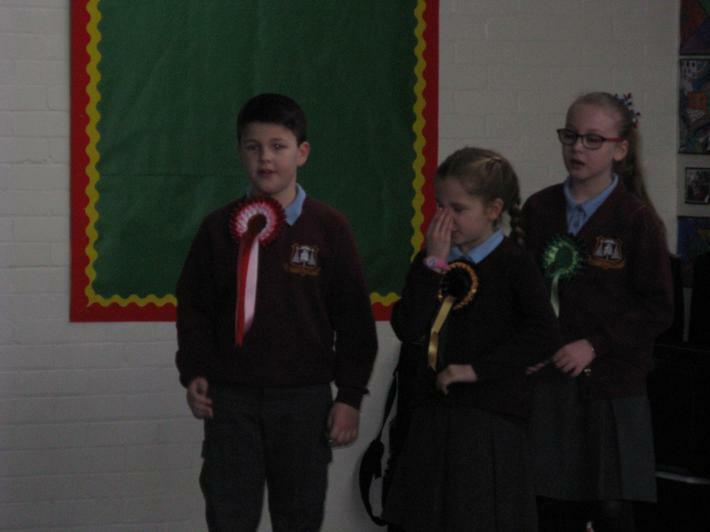 Michael, Georgia and Max were fortunate enough to take part in the event, in which they were educated on the causes and consequences of racism and explored the various forms racism can take. 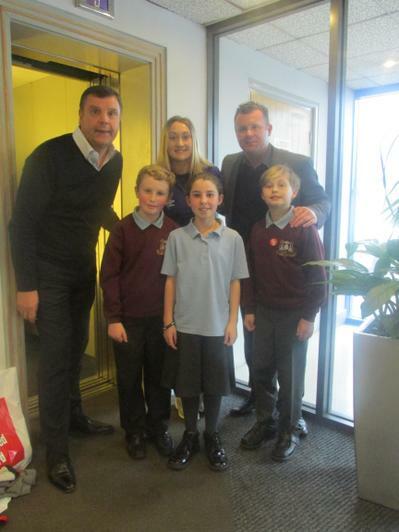 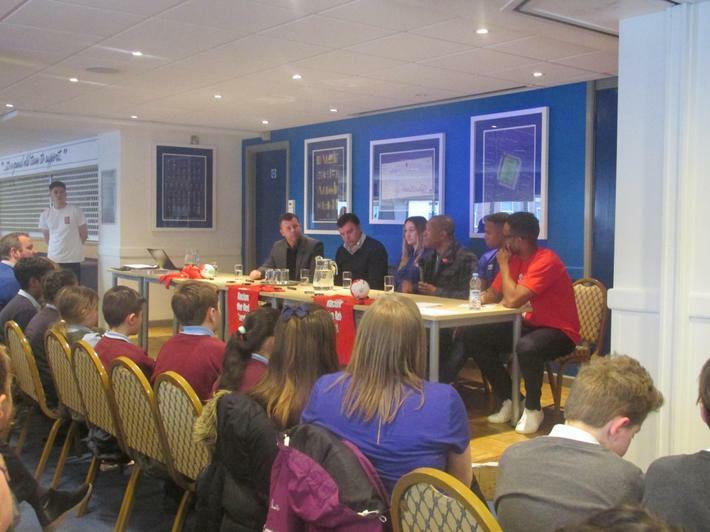 The initiative was also aimed to help children take an active role as citizens in an increasingly multi-cultural society and included a questions and answers session by educators and ex-professional footballers Graham Sharp and Graham Stewart. 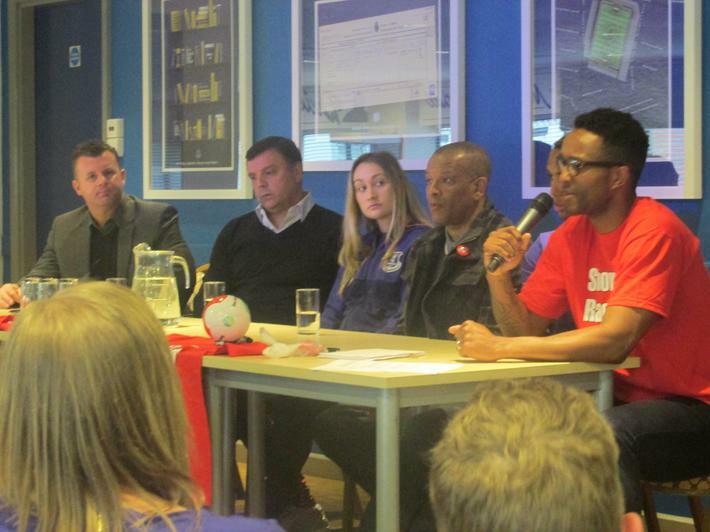 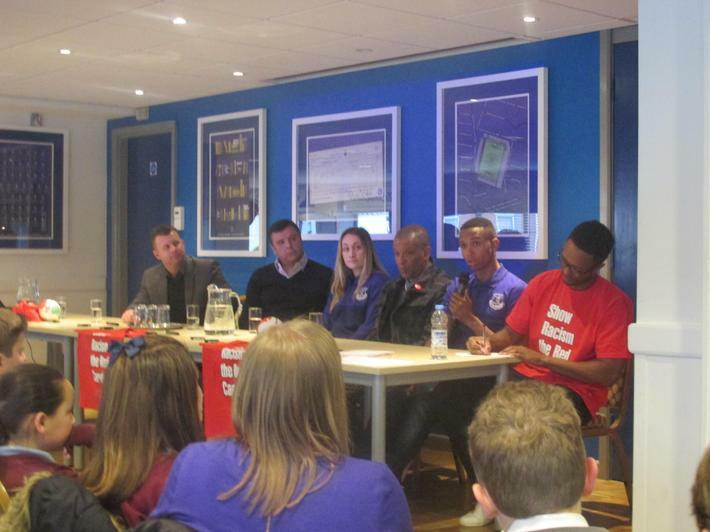 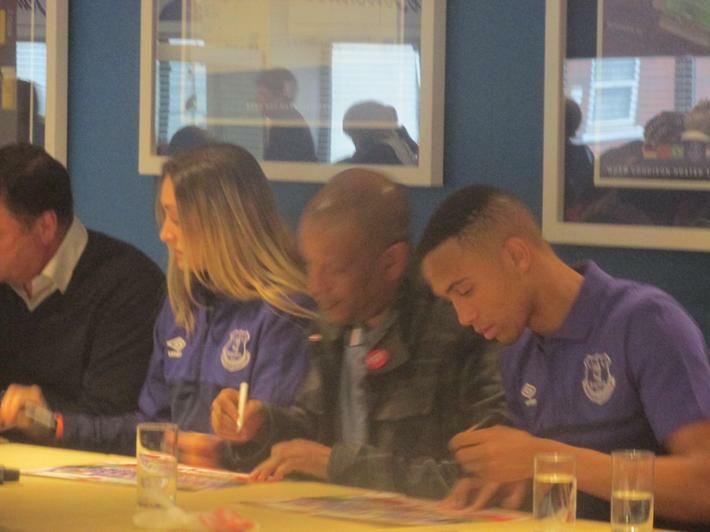 The panel also included current Everton player Brendan Galloway.